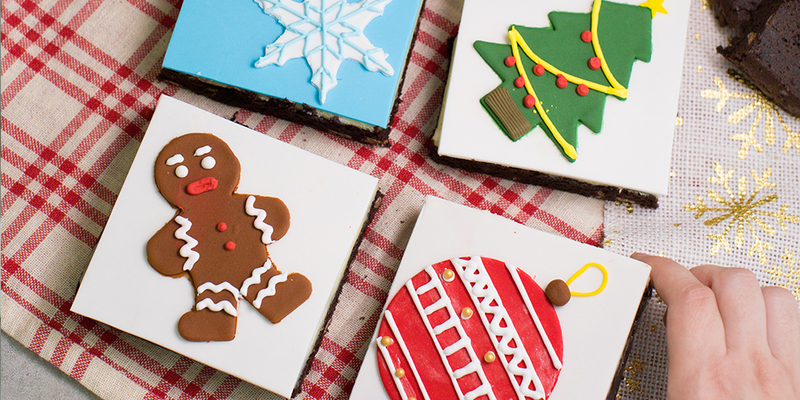 Have your kids decorate their own pull-apart brownies this Christmas! They will firstly learn how to bake a simple yet delicious milk chocolate chip fudgy brownie, then learn how to decorate it using gum paste toppers with royal icing. Enjoy this delectable brownie covered with a blanket of snow gum paste and recreate your favorite Christmas characters! SIGN UP FOR 1 pax and you will be entitled to bring along another pax for free! Please note that you will be working together in pairs to make one set of brownies. Recommended age: This class is open to all children from ages 6 and above. Parents are kindly advised to accompany children who are 8 years and below. *Students will work in INDIVIDUALLY to bake, frost and decorate their own 8" Brownie.